World of Water is a forward-thinking, energetic, positive, hard working, warm-hearted, water-wise, water-caring charity. In 1978, A.E.D. 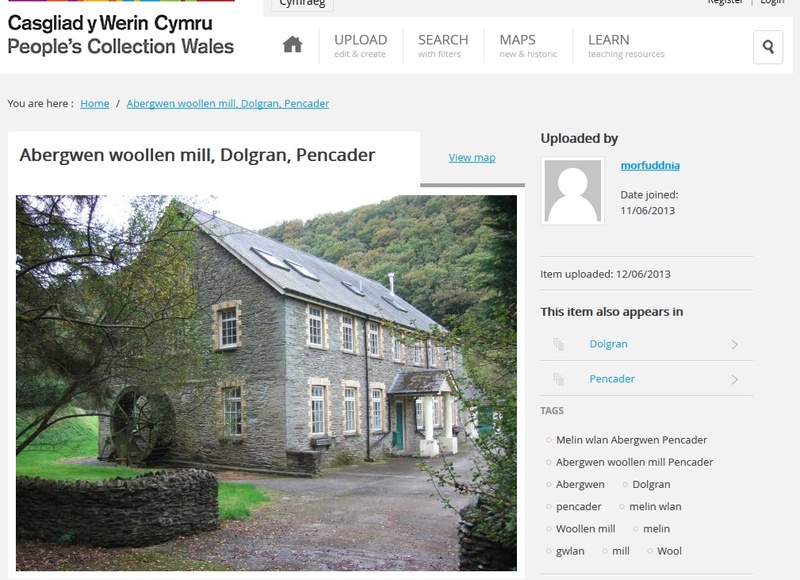 Taylor and J. Latham invested in a project to save Abergwen Mill, a large Welsh woollen mill in Dolgran, Pencader, Carmarthenshire, with the support of the Brewery at Arddol Mill. This early water heritage project spawned a small exhibition on water and an aquaculture research unit. On opening to the public, with assistance from the Wales Tourist Board (Now VisitWales), the area between both mills was soon adopted as a watery playground by local children, and nicknamed ‘World of Water’ by two of them, Wayne and Peter. * promote the health of the full water cycle for the benefit of all water reliant life. We surveyed and reported on Coultershaw Mill. This is now a Heritage Site exhibiting ‘centuries of water power’. Fantastic news. We prepared a proposal with designer Russell Ord on Hatton Water Works and a Water Safety pack for Severn Trent Water, UK. We co-designed a water visitor centre and water gardens with Martin Hulse for Sopley Mill, a peat bog centre with John Wincott in Ireland, and a visitor attraction at Hales Abbey Fishponds. We prepared the presentation drawings to promote the UK’s National Angling Centre and a touring caravan for the Atlantic Salmon Trust. We are one of many charities doing wonderful jobs and as BBC Radio 4 Today presenter, John Humphrys puts it, we are a ‘Kitchen Table Charity’. See: “The Kitchen Table Charities Trust“. Our kitchen table at the HoBB welcomes volunteers from around the world through the HelpExchange (Helpx.net) and Wwoof.org schemes but at times it is too small to work on things like waterlife displays, educational material for schools, prototype water farming equipment and food production trials. And unlike the original Aber-Gwen Mill, our present field centre has very little parking space or flat areas for outdoor / school group use. So we need your help to find a bigger kitchen table or possibly a larger kitchen – one we can gather around to share our research findings with more international students. We need space to grow. We would like to thank everyone for their suggestions. Please keep them coming in. We do research every one. A tan house (tannery) with land and river in Staunton upon Arrow but this went at auction for a figure beyond our charity’s budget. If you would like to make a comment, either privately or for us to publish and share, then go over to our comments page and make sure you type 060 at the beginning of your comment to grab our attention and show us you’re for real straight away. Thanks.